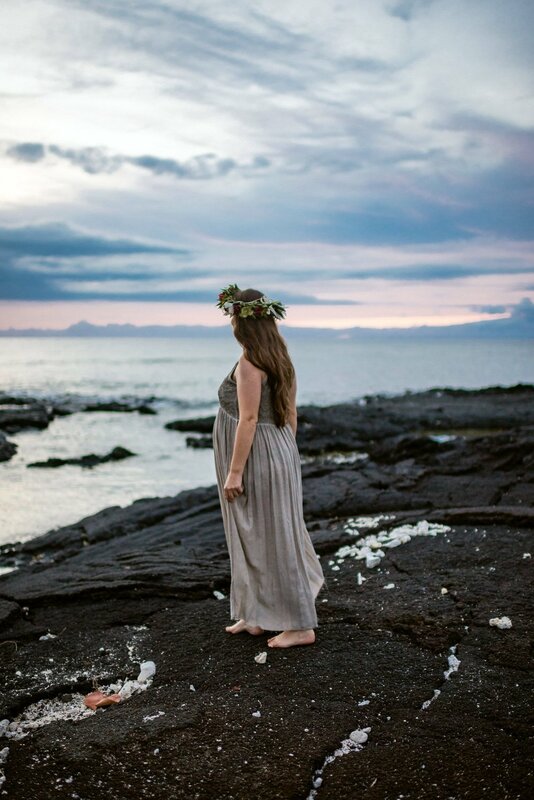 You'll never regret documenting your pregnancy. 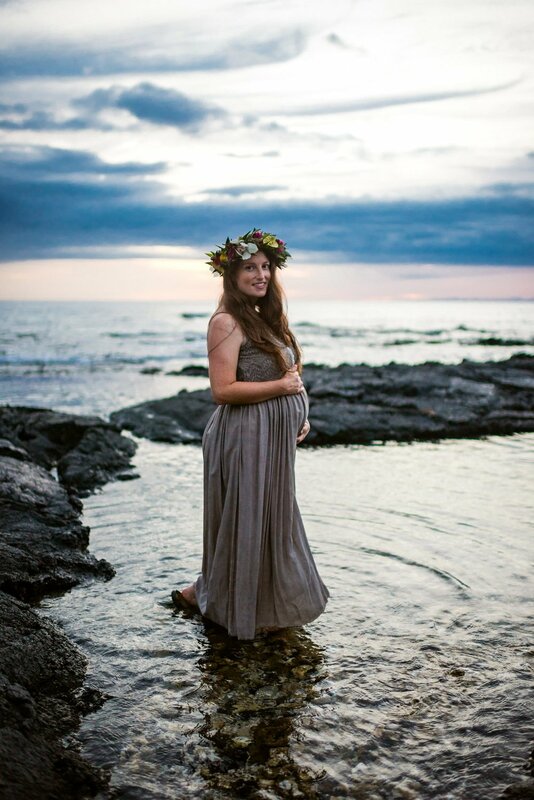 And when that pregnancy glow meets the magic of a Hawaiian sunset, beautiful things happen. Both of these dresses are a part of my client closet and are available for any client to use for their session - free of charge! Which do you like better - the green or the beige? For me, it's a tie. I love them both so much and I LOVE seeing clients in these beautiful dresses. Don't forget to ask about my client closet when booking to see all the dress options I have for you! Florals by the incredibly talented Hakus by Ki. 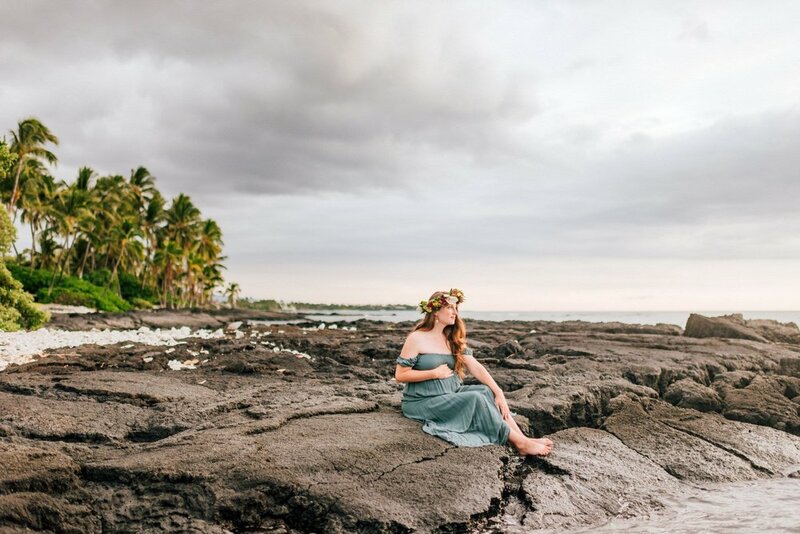 Looking for a Big Island photographer to capture your Hawaii babymoon? I'd love to work with you!